White-hat Social Media Marketing vs. Black-hat. Who wins? When it comes to using social media for marketing purposes, different marketing tactics fall into one of two categories: black hat tactics or white hat tactics. 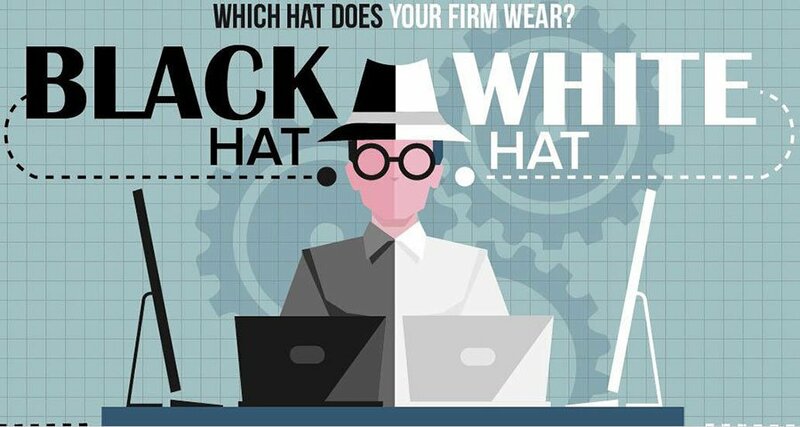 It’s easy to remember both because black hat social media marketing is essentially the “dark side” of the field while white hat marketing is more honest or genuine. What Does Black Hat Mean? Before we can understand white hat social media marketing tactics or how to use them effectively, we have to take a look at black hat tactics and why they are usually frowned upon. In the simplest of terms, black hat tactics are deemed “unethical” or “underhanded.” In more complicated terms, black hat tactics relate back to a term originally used to describe a malicious type of hacker, and then later adapted to refer to different search engine optimization practices. In SEO, a company engaging in black hat tactics is a company that boosts its web rankings in ways that are not condoned by search engine guidelines. Meanwhile, a company using only white hat SEO practices is one whose search engine optimization tactics completely align with search engine guidelines. In social media marketing, the definitions of black and white hat tactics are similar. Someone participating in black hat social media marketing practices is someone who is trying to “game” or “cheat” the system. Perhaps they are using a Twitter program that allows them to follow and unfollow other accounts automatically as a means of fishing for follows. Or maybe they are buying likes, follows, pageviews or even reviews for their business. Writing negative reviews on a competitor’s page, spamming other sites and social profiles with generic messages and links, and other similar tactics are also examples of black hat social media marketing. If there is one keyword that will help you to differentiate white hat social media marketing from black hat practices, that word is “organic.” To establish a far-reaching and long-lasting online brand, you really can’t buy your way to the top. You need to grow a following in a natural fashion, earning likes and follows by producing great content or being an authority on something—not by buying social stats or phishing for re-follows on Twitter. If you do have the financial capital to spend on a social media marketing campaign, use it for advertising instead of paying for likes or fake reviews. You can pay to “sponsor” your posts on both Twitter and Facebook, and doing so is an honest, ethical way to reach more people. Bottom line, customers are always looking first and foremost for the businesses and brands they can trust. Doing business on the Internet does not negate this desire for a trusting, genuine relationship between customer and company. You can buy likes and cheat your way into the social feeds of millions of people. However, by doing so, you aren’t going to get an audience that trusts and values your brand, your product, your content, or whatever else you are trying to sell. For that reason, you must focus on an organic approach that builds relationships and trust.